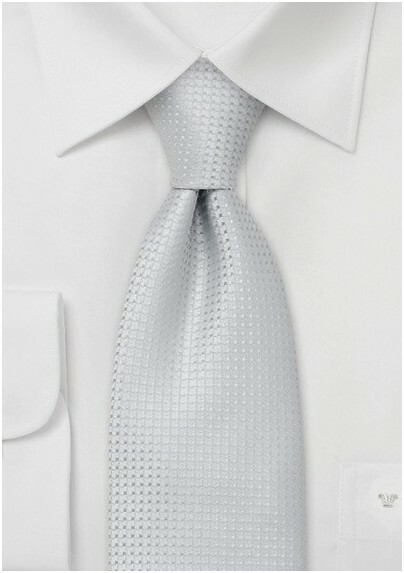 Add some bling to your tie wardrobe with shades of silver and grey. These cool colors standout in all seasons and give you that added shine and shimmer. The ice silver silk has an intricate bird’s eye weave which adds sophistication and texture. 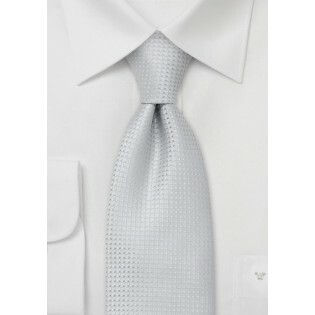 We suggest pairing this tie with a crisp white dress shirt, dark grey wool suit and black oxfords. The silver and grey will both radiate in the right light giving you an air of confidence.